HoffiCoffi here. 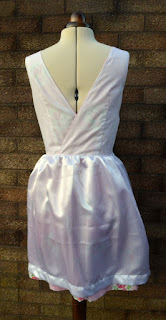 I have been duvet dress making again! 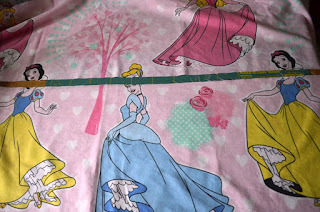 This time it was a princess single duvet cover, which had princesses on the front and a floral design at the back. I started by cutting off the fastenings on the bottom of the duvet. 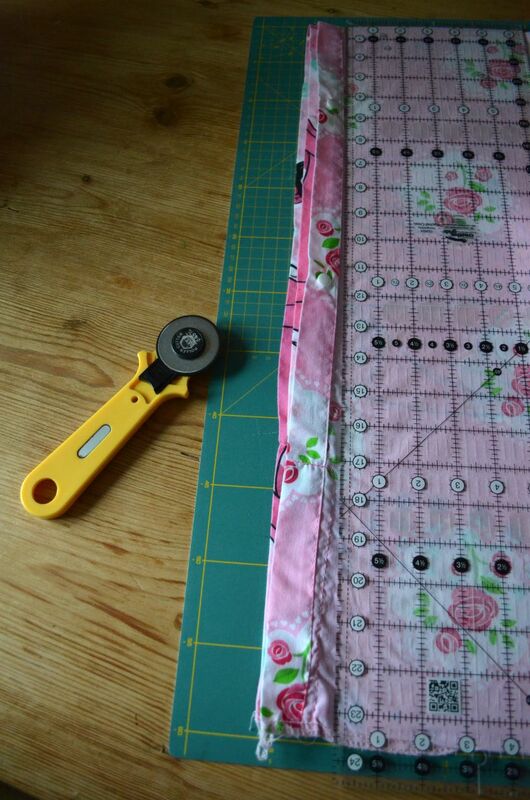 I then cut about 22 inches off the bottom of the duvet for the skirt. 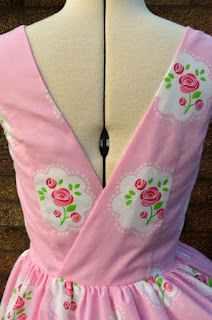 My intention was just to gather the top of this (with a break in the side seam for a zip), and to attach it to the bodice with the princesses all over the front of the dress and flowers on the back... but more on this in a moment. I turned my attention to the bodice. As I hope you can see I spent some time centering one of the princesses onto the bodice front. 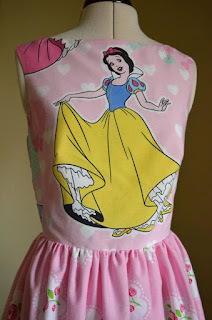 I decided to go for snow white as I liked the yellow contrasting with the main pink of the dress. At the back I also spent time matching up the flowers either side of the centre back. Ahhh, I don't think I wanted to cut it like that!!!! 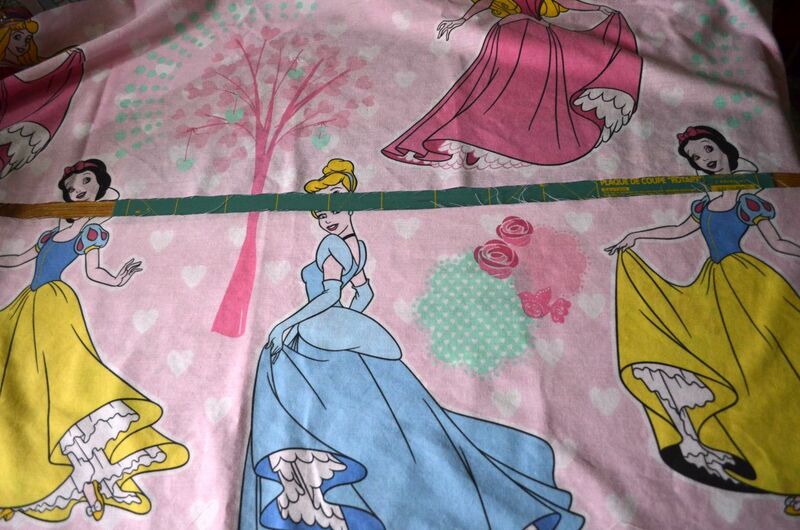 Due to a massive oversight on my part I had not checked that the skirt panel included a complete panel of princesses. I was left with a dilemma - have incomplete princesses on the skirt or come up with something else. 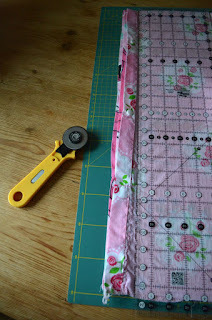 Luckily, and I do mean luckily, I had enough material left over from the back of duvet to make a gathered skirt out of just the floral motif. So that is what I did. I fully lined the dress with offcuts of lining material from other projects, and the dress fastens with a side zip that I harvested from a dress I had previously refashioned into a skirt. How cool are you? So cool. 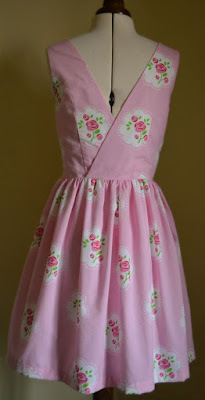 Cute refashion. I'm an adult and I want to wear this! Totally adorable!!! This makes me laugh so hard. The headless princesses.